A galaxy is a gravitationally bound system of stars, stellar remnants, interstellar gas and dust, and dark matter. The word galaxy is derived from the Greek galaxias, literally “milky”, a reference to the Milky Way. Examples of galaxies range from dwarfs with just a few thousand stars to giants with one hundred trillion stars, each orbiting their galaxy’s own center of mass. Galaxies can be categorized according to their visual morphology, including elliptical, spiral, and irregular. Many galaxies are believed to have black holes at an active center. The Milky Way’s central black hole, known as Sagittarius A, has a mass four million times that of our Sun. There are approximately 170 billion (1.7 × 1011) galaxies in the observable universe, but only a few is visible to the naked eye on the night sky. Photos of the Milky Way, the galaxy that contains our Solar System, is not covered on this page. This page is dedicated for photography of galaxies outside our galaxy. Photos is available in different formats JPG/RAW/TIFF. Many of the photos are a combination/result of the stacking of several individal photos, to increase detail and reduce noise in the results. 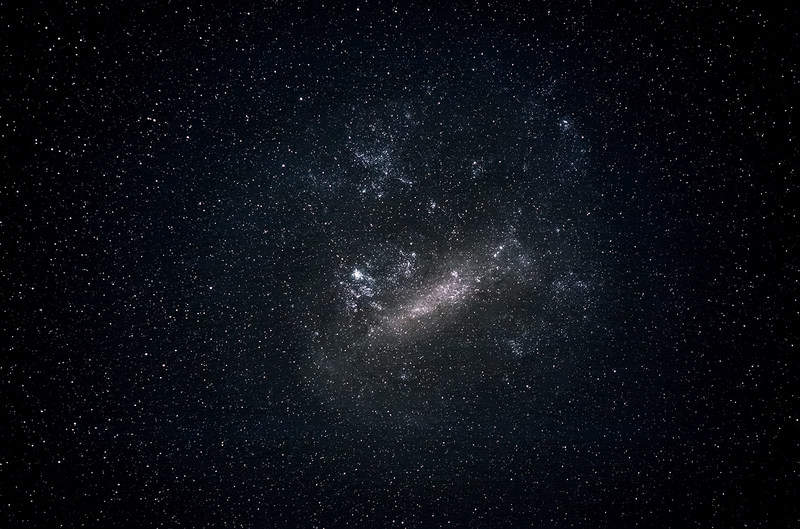 The Large Magellanic Cloud. At a distance of slightly less than 163,000 light-years, its a disrupted barred spiral galaxy, and the third closest galaxy to the Milky Way. The brightest object in the photo is the Tarantula Nebula.